The Association of Planting Stock Producers (APSP) invites the professional community to the 12th Annual Conference “Russian Nurseries: from Formation to Development Strategies”, 6-8 February 2019. 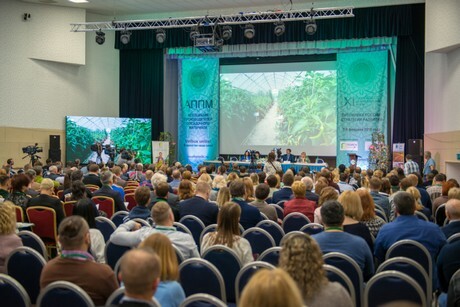 The APSP annual conference is a platform for promoting the domestic nursery sector, demonstration of achievements, new technology, discussion of development trends and establishing business contacts. It is an opportunity to acquire new knowledge and get positive emotions from communication with the like-minded peers. In 2018 over 700 people took part in the conference, 350 Russian and 22 foreign companies from Belarus, Kazakhstan, Ukraine, Latvia, the Netherlands, Poland, France, Italy and Germany. Lectures of reputable specialists, presentations, sharing of experience and a profile exhibition are in the conference program.